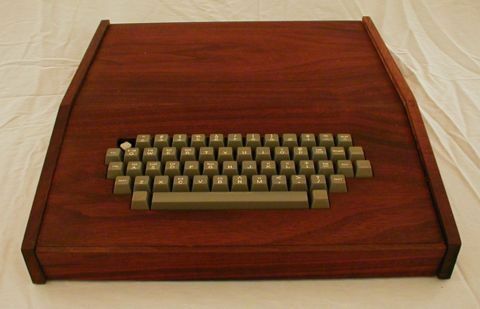 Rubenerd: Apple I With Aftermarket Wooden Case! Apple I With Aftermarket Wooden Case! The VCF is proud to be presenting an original Apple-1 computer up for auction from Friday, February 21 through Sunday, February 23, 2003.